Everyone creates trash. However, the way in which we dispose of our trash and waste can and should be different. Some choose to recycle. Some choose to burn trash in a five-gallon drum. Some toss it in the nearest trash can. Yet, bio-medical waste is not your “normal” trash or waste. In fact, it is so unique and potentially hazardous that many states and the federal government have rules and regulations on how it should be disposed of properly. The regulations shouldn’t be taken lightly either because your facility could face hefty fines. Avoid the following medical waste disposal mistakes when considering your facility’s biomedical waste disposal. When it comes to handling medical waste, it is very important to follow rules and regulations. These rules are not designed to make your job more difficult, but to help keep you and others safe. OSHA, the Occupational Safety and Health Administration, enforces workplace safety regulations and sets requirements for OSHA training at more than seven million workplaces. 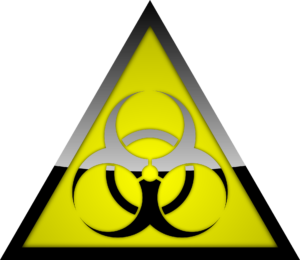 If your facility handles biomedical waste, then it is important to know the specific guidelines provided by OSHA, your state of operation, and the government. At Wellbeing Midwest, we understand the importance of staying compliant. We offer training to help your employees stay safe and keep your facility from getting fined due to non-compliance. Again, training your employees is a BIG deal. No matter where you work or the industry you are in, it is important that you provide proper and relevant training to your employees. Not only does this help your employees understand what is expected of them, but it also prevents confusion later on if something does come up. In addition to providing education to you and your employees, we can work with you to create a DOT approved Biomedical Waste Plan, customized to fit the needs of your facility. These plans, along with proper training, help keep your team, our team, and the public safe from potentially infectious wastes. Wellbeing Midwest offers the necessary biohazard red bags and biohazard boxes/containers to keep you safe and compliant. These containers are specifically designed to hold biohazardous material securely until we come to safely dispose of them. Midwest Wellbeing is here to help you with all your biomedical waste disposal needs. Give us a call or e-mail us today and let us work with you to create a biomedical waste disposal schedule that is right for your clinic, business, or facility.